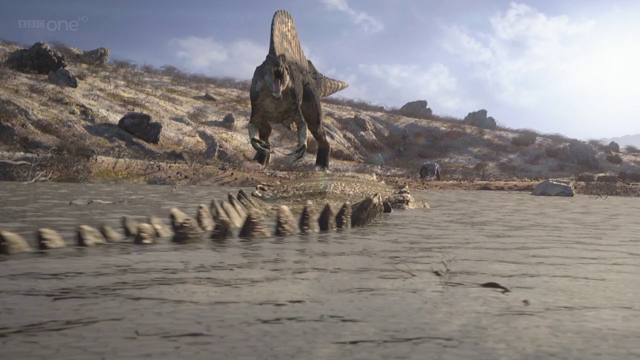 Although one glaring omission was the fossilized human and dinosaur footprints from the Paluxy river bed in Texas. Speaking of part V, I've been helping daniel with a bit of Hollow Earth research and he's made some fascinating new connections, make sure you've read Etidorhpa and any other Hollow Earth books in preparation for it! 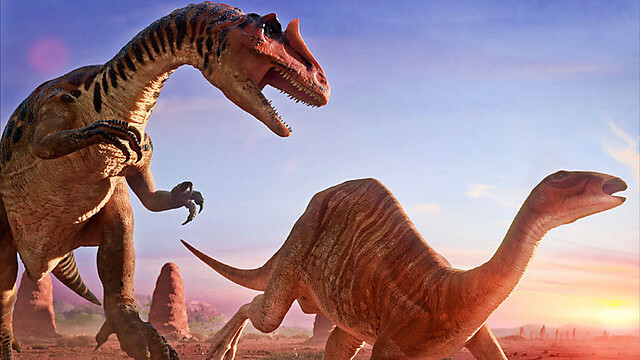 I recently wathced Walking with Dinosaurs, and I have to say, that it was remarkable! 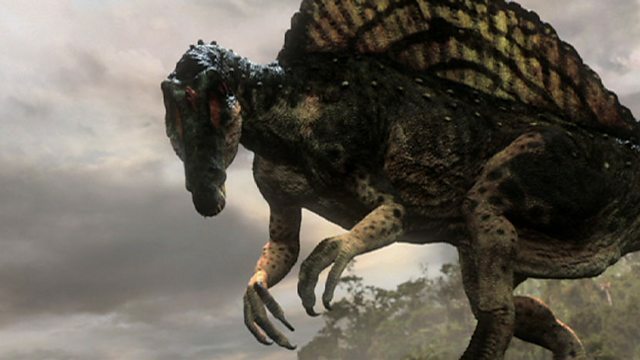 You can hear bleating, snorting, and other animal noises from the dinos, but at the same time, you can hear the telepathic communication of the giant lizards. 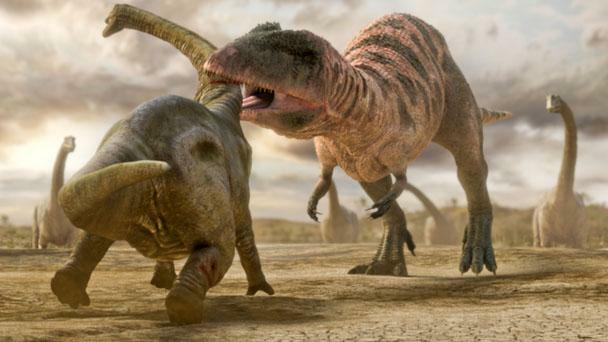 The work done, in regards to applying present day animal behaviors to the dinos was excellent. The only thing that bugged me, was short arms. 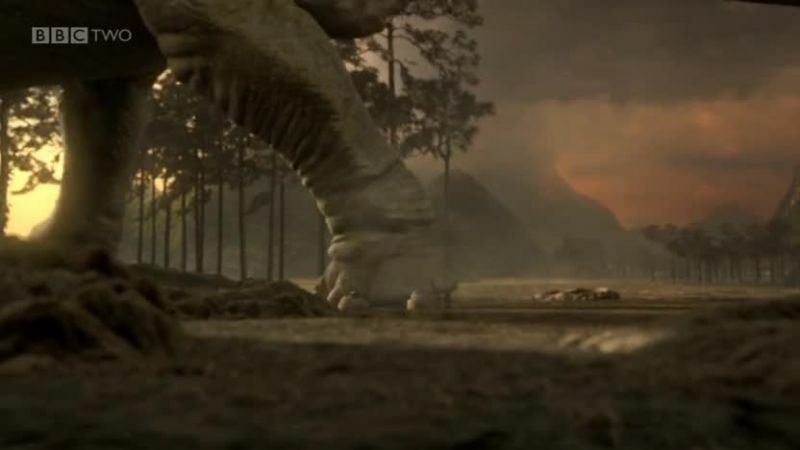 There were a few dinos in the film whos front legs were extended as I imagine they should be, rather than the silly tiny armed meme version we see all the time, but were shown as quadrupeds and all I could think was.. "OK, now stand him up!" It's definitely worth checking out! 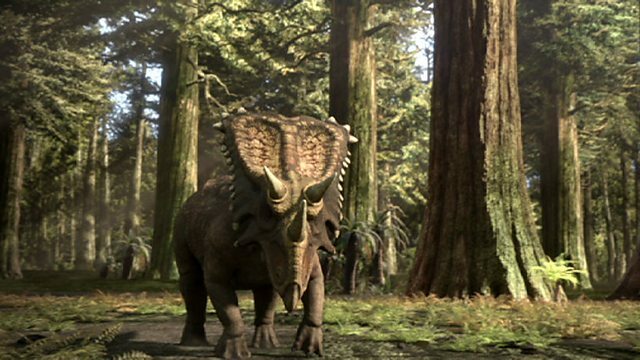 Since watching this film, I can't help but see rhinoceros, hippopotimi, and elephants as being closer to the dinos than to whales and other sea creatures that decided they'd like to live on land. I'm no geneticist though, so I can't be certain, just a musing that I've had in the past weeks. You're welcome and if you liked that you're gonna love this! Walking with Dinosaurs was decent but that's soo 1999 I first had it on video!! You're welcome too. I know, and just think how much has been suppressed, how much is hidden away in the Vatican archive and how much we still have to find out about them! I like the bit around 35:00 where he recounts the encounter of a group trekking in Colorado with what sounds like a Drako SM. Lozion wrote: I like the bit around 35:00 where he recounts the encounter of a group trekking in Colorado with what sounds like a Drako SM. Yeah, he's full of stories like this. Apart from this, he had a lot of experiences similar to bruce's, daniel's, and Wilcock's - e.g. a voice which warned him about an impending danger, while at the same time being hit by an electric shock of some kind during lunch with his ex-wife and their friends in a restaurant, making a fool out of himself, since the voice told him "quick, run, your life is in danger" at the moment when two guys entered the restaurant. He ran out of it, crossed the street without looking left or right, ran past a few blocks and then stopped when the voice told him he's safe now. It happened twice, if I'm not wrong. Wilcock had the same experience (as far as I recall) when he was promoting his book The Reincarnation of Edgar Cayce in Japan - a man was driving him around and since they were both tired, they were slowly falling asleep. Then, suddenly, a voice screamed to David something like "wake up Mr. XY, wake him up NOW". If he hadn't done it, they would have been dead now, according to David. This Jordan's account is very interesting (visited by angels). Bruce also had such an encounter with a "female angel", if I'm not wrong. And I don't consider these two men insane or anything similar, so I suspect there is something to it - I'll have to read/search the Bible to learn about all different entities mentioned in it. Interestingly, the Reptilians also "camouflage" themselves - they supposedly can take up a human form, just like the Sons of God from the Bible (if I understood Maxwell correctly). I'll study this when the time is right. 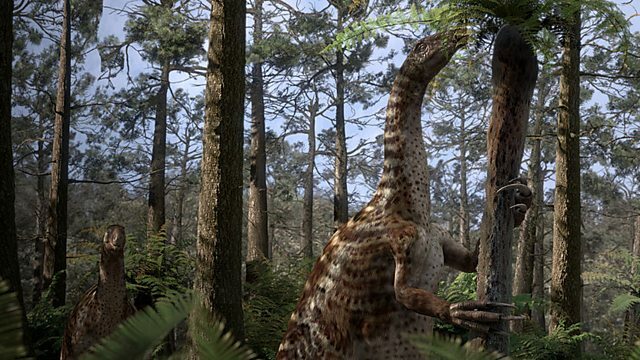 http://gvenews.com/the-dinosaurs-never- ... s-manmade/ interesting article but think that headline is misleading.. we see so many evidence that dinosaurs exist today.. that article is about faking..imo not about disproving of existence dinosaurs. Djchrismac wrote: Speaking of part V, I've been helping daniel with a bit of Hollow Earth research and he's made some fascinating new connections, make sure you've read Etidorhpa and any other Hollow Earth books in preparation for it! "BTW, if you know Russian, you should definitely read the book "Глубинная Книга" (The book of depths / of the deep) by Владимир Пятибрат, It has things in common with Etidorhpa, but I think it goes deeper into the rabbit hole."